Tune in every Wednesday night to FOX at 9:00pm PT/ET to watch us in action! Season 8 of Chef Gordon Ramsay's popular reality show was filmed at the JW Marriott Los Angeles and LA Market restaurant and the winner will be the new Chef de Cuisine at LA Market. Show your same-day ticket stub from any L.A. LIVE entertainment venue and receive 15% off at The Mixing Room, LA Market, gLAnce Wine Bar and WP24 Lounge. Offer valid for ticket stubs from Nokia Theatre L.A. LIVE, STAPLES Center, Club Nokia, Regal Cinemas and Conga Room. Offer is exclusive of alcohol. Rates start at $369.00 per night, exclusive of tax. 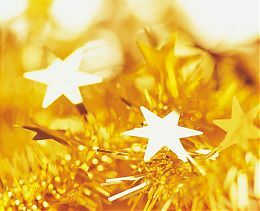 To make a reservation, please visit www.lalivemarriott.com or call (213) 765-8600 and include code EAT when booking. Please call (213) 765-8625 for more information. We are excited to share with you the new look for our JW Marriott Los Angeles website. 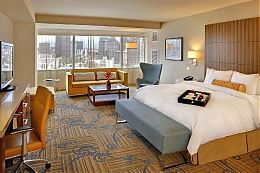 Take a peak at www.lalivemarriott.com.